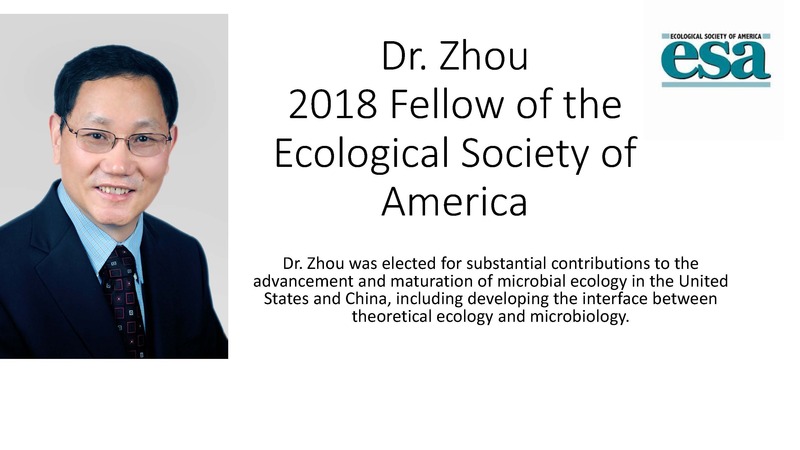 Dr. Zhou ASM Environmental Research 2018 Award Winner!!! IEG is setting up a single cell sequencing facility. A raman spectrometer will be used to select and isolate individual cells. 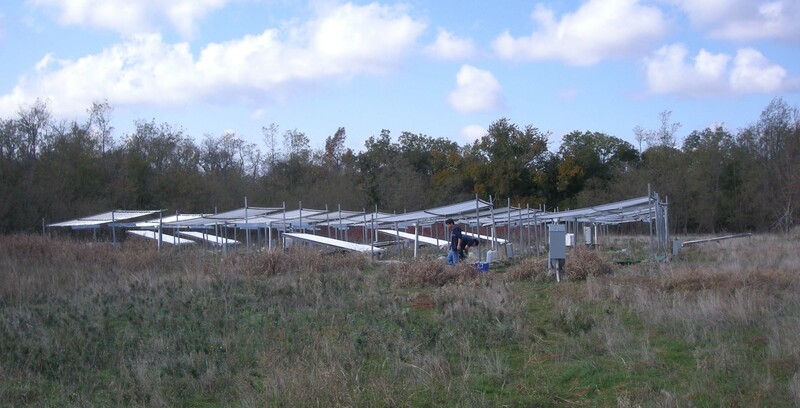 The mission of IEG is to advance scientific research and education in environmental genomics and stimulate bio-economic development in the State of Oklahoma in order to address scientific challenges related to (i) defining gene function, (ii) delineating gene regulatory networks (iii) developing a systems-level understanding of biological systems beyond individual cells, and (iv) creating computational simulations of biological systems. (iii) development of metagenomic and bioinformatic tools for big data analysis to understand and model ecosystem functioning and stability. Dr. Jizhong Zhou is a George Lynn Cross Research Professor and a Presidential Professor in the Department of Microbiology and Plant Biology and Director for the Institute for Environmental Genomics, University of Oklahoma, Norman, OK; Visiting Senior Scientist at Lawrence Berkeley National Laboratory; and Adjunct Professor at Tsinghua University, Beijing, China. His expertise is in molecular biology, microbial genomics, microbial ecology, theoretical ecology and genomic technologies. His laboratory has pioneered the development and use of genomic technologies for environmental studies for which GeoChip won an R&D 100 Award in 2009. He received a Presidential Early Career Award for Scientists and Engineers in 2001. He received an Ernest Orlando Lawrence Award in 2014. He is a former Editor for Applied and Environmental Microbiology, a current Editor for mBio and a Senior Editor for The ISME Journal. He is a Fellow of the American Academy of Microbiology and the American Association for the Advancement of Science. Energy Secretary Moniz announced the names of the nine recipients of the Ernest Orlando Lawrence Award, which recognizes exceptional US scientists and engineers preforming research supporting the Energy Department mission. IEG Director, Jizhong Zhou, was selected as one of nine recipients. Jizhong (Joe) Zhou (University of Oklahoma) - Biological and Environmental Sciences Honored for his outstanding accomplishments in environmental genomics and microbial ecology, including the development of innovative metagenomics technologies for environmental sciences, for groundbreaking discoveries to understand the feedbacks, mechanisms, and fundamental principles of microbial systems in response to environmental change, and for transformative leadership to elucidate microbial ecological networks and to link microbial biodiversity with ecosystem functions. A Behind the Paper blog post on the newly published Zhou lab manuscript (Guo et al. 2019. Climate warming accelerates temporal scaling of grassland soil microbial biodiversity. Ecology and Evolution) has been posted at the Nature Ecology and Evolution Community page (link). Shi S, DJ Herman, Z He, J Pett-Ridge, L Wu, J Zhou, and MK Firestone. Plant roots alter microbial functional genes supporting root litter decomposition. Soil Biol Biochem. 127:90-99. 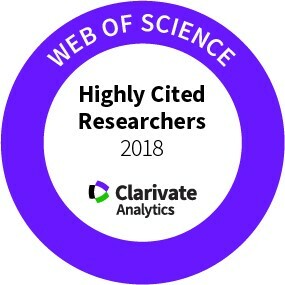 Liang J, J Xia , Z Shi, L Jiang, S Ma, X Lu, M Mauritz, SM Natali, E Pegoraro, CR Penton, C Plaza, VG Salmon, G Celis, JR Cole, KT Konstantinidis, JM Tiedje, J Zhou, EAG Schuur, and Y Luo. 2018. Biotic responses buffer warming‐induced soil organic carbon loss in Arctic tundra. Glob Change Biol. https://doi.org/10.1111/gcb.14325. Shi Z, Y Lin, KR Wilcox, L Souza, L Jiang, J Jiang, CG Jung, X Xu, M Yuan, X Guo, L Wu, J Zhou, and Y Luo. Successional change in species composition alters climate sensitivity of grassland productivity. Glob Change Biol. https://doi.org/10.1111/gcb.14333. In press. Guo X, J Feng, Z Shi, X Zhou, M Yuan, X Tao, L Hale, T Yuan, J Wang, Y Qin, A Zhou, Y Fu, L Wu, Z He, J Van Nostrand, D Ning, X Liu, Y Luo, J Tiedje, Y Yang, and J Zhou. 2018. Climate warming leads to divergent succession of grassland microbial communities. Nat Clim Change. 8:813-818.